Nostalji Cave Suit Hotel Goereme, Hotel Turkey. Limited Time Offer! Nostalji Cave Suit Hotel. 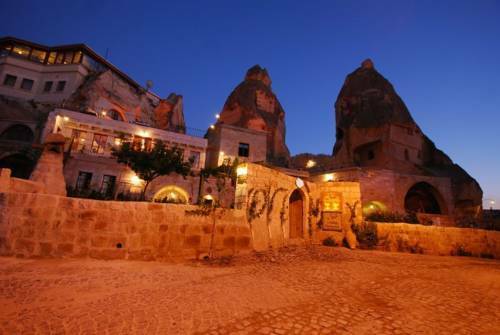 "Nostalji Cave Suit Hotel" is excellent for discovering Goreme. To help you visit the neighbourhood, there is a shuttle service. Dinner can be enjoyed at the onsite restaurant which proudly serves its regional specialty. If you like to keep an eye on your work, there is Internet access available at no extra charge. The Lalezar Hotel is perfectly located for both business and leisure guests to Goreme.All hotel's guestrooms have all the conveniences expected in a hotel in its class to suit guests' utmost comforts.